In the blur of modern day life, important events can easily be forgotten once their over and the preliminary excitements past. Without photos, many valuable memories can be buried underneath the rubble of everyday events and treasured moments can be lost.  At Pass The Salt Photography my aim is to provide a comprehensive photography service of these events and more. The goal is to capture and preserve your life’s events so their never confined to this fate. I cover the basics of photography with event photography and combine them with selected specialist genres like wedding and motorsport photography. Mainly I am a photographer who loves to get out and about; traveling to varied locations for events and capturing the magic at a new location for every assignment. The only time I like to confine myself at home is when I am deep in the editing process. Currently I do not offer studio photography for portraits etc as I am kept very busy with my event and motorsport work. Hopefully in the bright days that I imagine my future to be I will be able to offer this service. My event photography can be applied to anything you want to get captured. A birthday party or an Anniversary is a staple but the sky’s the limit. If you’re holding a special event for someone returning from overseas, or holding a party in celebration of completing your renovation project, getting photographic coverage will prove to be a decision you won’t regret. Nowadays we are fortunate enough to have access to phones with powerful cameras built in. Everywhere you go you have a camera on you and so it’s easy to forget the use of a photographer. They’re simply not needed since everyone’s got a camera right? If this was the case, I would have long ago hung up my camera and learnt a trade. The reason is that even though everyone is carrying a camera on them, they very rarely use them during a party. Apart from the few quintessential selfies and snap-chats, you won’t get a broad range of photos from the event. decorations. It’s only the next day – once you’ve cleaned up the wine stains – which you realize that you have a few photos taken from the event that took so much planning. Now imagine walking over to your bookshelf and pulling out an album of photographs. Its full from cover to cover of photos from a party many years ago. You see your home how it looked back then and how the kids or your spouse have grown (or aged gracefully). You make yourself a cup of your favourite and spend an hour or two leisurely walking down memory lane and reliving a party you may otherwise have forgotten. It’s a time like this that you will commend yourself on the decision to get someone to cover the event for you. Of course events are not the only type of photography I cover. Take a look at my portfolio for other types of photography I do and I encourage you to get in contact with me. Let me what you are wanting to get covered and I will be happy to help.